NETKD has been training great people and martial artists since 1993. We have been very lucky to develop lasting friendships and memories. However, it is time for us to close our doors. The loss of our Grand Master and founder, Norman L. McLinden, in 2012 left us with a choice to continue his legacy or move on. We are happy to say that we continued with honor and we met some great new faces along the path. We would like to thank all of our instructors for their contributions to Northeastern Tae Kwon Do and the family that has grown through the martial arts. We would also like to thank all of our students for what they have contributed to our lives and the martial arts. Students have always been what NETKD is about. 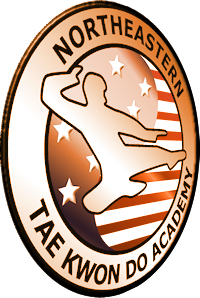 Though we've closed our doors, Northeastern Taekwondo's curriculum and community will continue to be available in the future.